Over the years I have tried all manner of portable saws. A few have proven worthy of purchase, but most have failed miserably and ended up unceremoniously buried in a dumpster. Finding a compact and light cutting tool has been tough but I keep searching. My early spring mountain bike rides often include lots of deadfall to be cleared and I’m not inclined to ride with a 3-pound axe on my back or a 2-foot long folding saw. I have experimented with a few hand-powered chain saws and never found one I thought did the job well. Most have clunky chains with only one poorly shaped cutting tooth placed every few links. Those teeth are often too pronounced and while often sharp enough to chew through wood, are hard to get started or snag so badly I can’t maintain a fluid cutting motion. 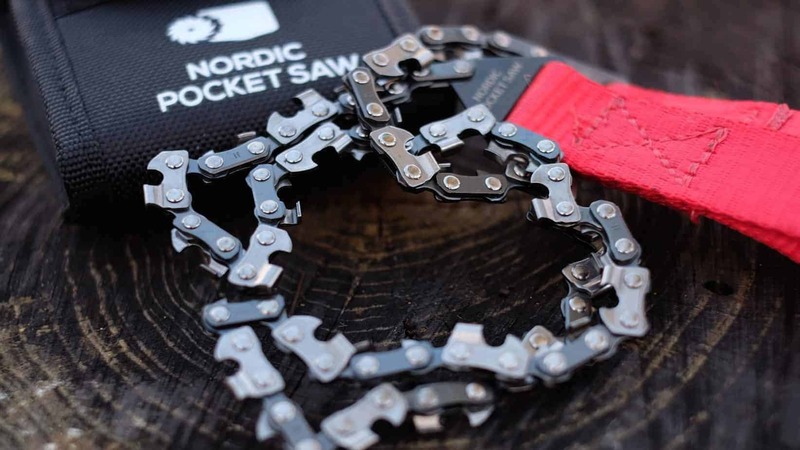 Leave it to the Swedes to perfect the hand-driven chain saw. 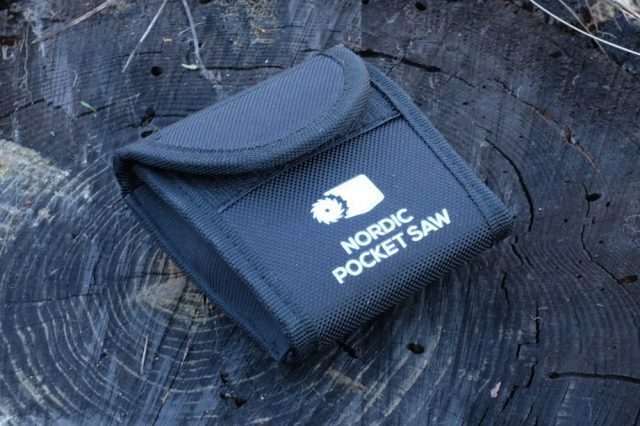 The Nordic Pocket Saw isn’t a reinvention of a design, it’s the perfection of it. 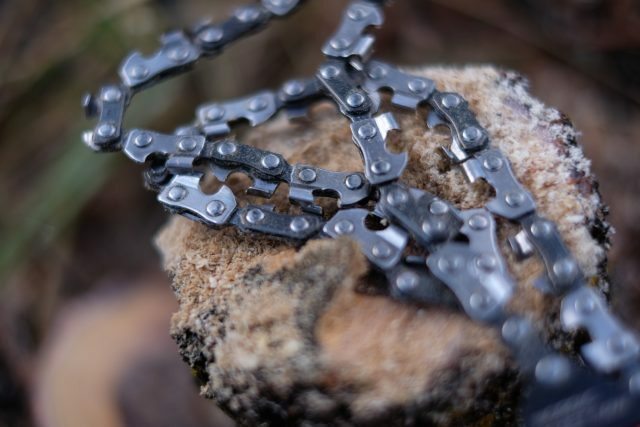 Every major link in the 26-inch long chain is fitted with a sharp but low-profile double-bit cutting tooth. 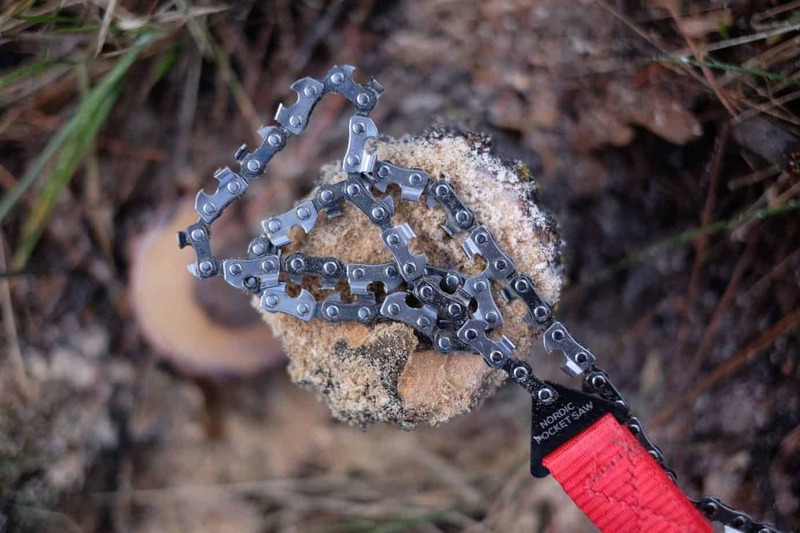 Those teeth cut in both directions and give the saw more cutting power per stroke while aiding in the smooth and effortless movement of the chain over wood. 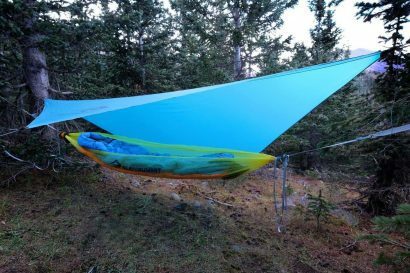 The two large webbing handles are comfortable and keep weight and bulk to a minimum. The entire saw including the durable nylon case only weighs 4.2 ounces or 120 grams. 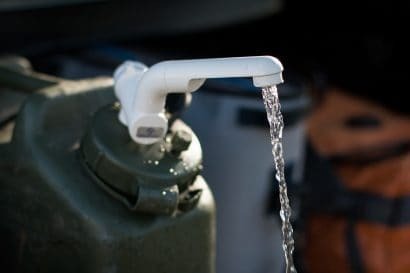 One of my gripes with many products is a short service life. I’ve had other saws which worked great on the first outing, but dulled quickly and required tedious upkeep. Or worse, they couldn’t be effectively resharpened at all. 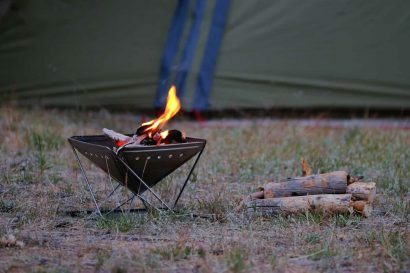 The Nordic Pocket Saw is made of heat treated high carbon steel which holds an edge well, but allows the cutting teeth to be honed with a 4mm file. 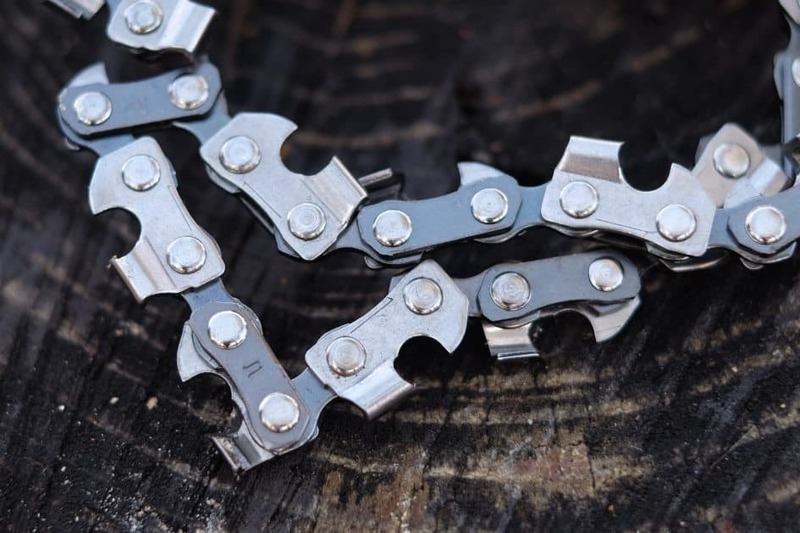 In comparing the chain to other similar saws I noticed additional refinements like well-beveled link pins designed to reduce drag during cutting. Other tools have crude pins prone to snag and scrape along the wood’s edge.